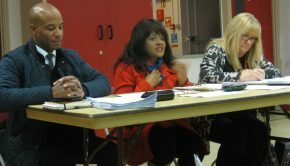 The first meeting for the new Handsworth Ward took place on 24th July at the Handsworth Association of Schools building in Broughton Road, chaired by Councillor Hendrina Quinnen, and assisted by Neil De-Costa from the Place Directorate with Local Governance Manager Lesley Bannister. 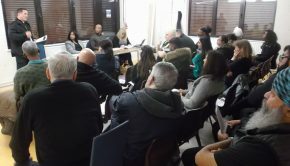 Significant numbers of people attended who had never been to a ward meeting before, and there was representation from all 3 of the residents’ associations in the area: Grove, Rose Hill and Wilkes Green. Handsworth ward is now roughly the area bounded by Hamstead Road, Soho Road, Rookery Road and Oxhill Road/Church Lane. Most of the meeting was taken up in wrestling with how the new system was supposed to work. Council Withdrawal: all discussion was in the context of the Council no longer having the money to sustain or restore previous levels of service to local areas. One consequence of this is that for some time now ward meetings have ceased to be places where decisions can be made which bind the Council to action. Instead, they are where residents can bring issues and concerns, seek advice and assistance, get information, and work out ways of addressing problems. Alison Hortin, co-chair of the local Neighbourhood Forum, suggested people look at two documents in order to understand what the Council’s policy now is: ‘Working Together in Birmingham’s Neighbourhoods’ and ‘Community Cohesion’ (click ‘WorkingTogether’ and ‘CommunityCohesion’). Neil De-Costa said that there are still specific ‘envelopes of money’ in the Council, so presumably if residents bring forward issues which match those there may be money available. He emphasised, though, that there was a need to take a broader view of where resources could be found to solve a problem – whether this be from residents themselves, institutions and businesses in the local area, alternative sources of funding, or combinations of all these. 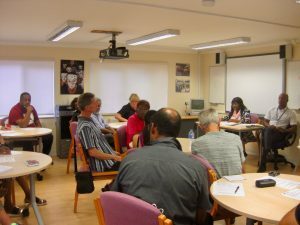 Several people didn’t think there was any point in having meetings on this basis as they would be nothing more than a ‘talking shop’, particularly when it was said that ‘Officers’ from Council departments would only consider coming if specifically invited and might not attend even then. Some pointed out their lack of time to become ‘community activists’, some were concerned about small groups of people acting as ‘representatives’ of the community when they were nothing of the sort, and some said the whole ‘resident led’ message was about nothing more than getting local groups to do the work the Council no longer did. But no one deserted the ship. 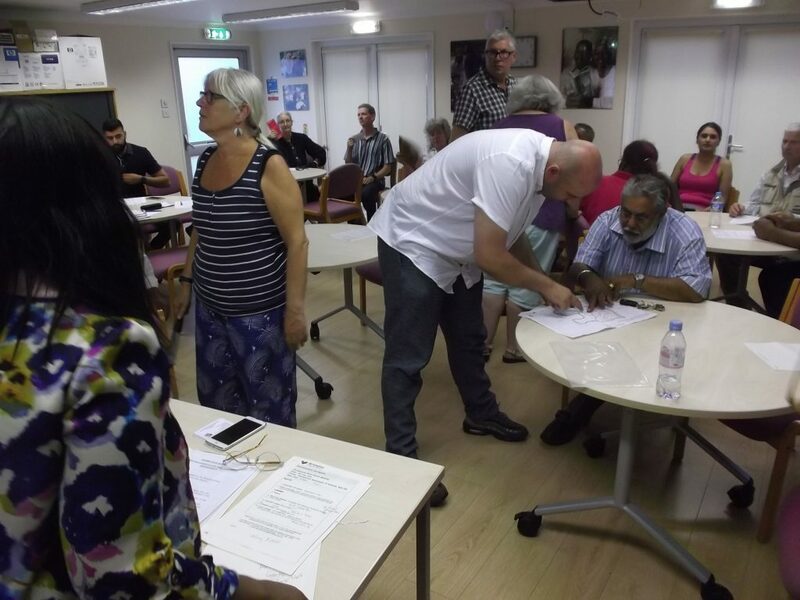 Choice of Formats: with a lot of help from Neil De-Costa it was established that it was up to residents in each ward to decide what format they wanted their ward meetings to take. Some places had kept several layers of discussion, as in Councillor-led ward meetings, resident-led Neighbourhood Forums, and resident-led residents associations and even business liason groups (thanks to Alison Hortin for this example); others had combined all functions into one Neighbourhood Forum; others had resident groups and then one other larger forum. There is no requirement that it be the Councillor who chairs the meeting. 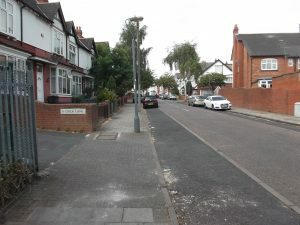 Currently Handsworth has a ward meeting like this one, a Neighbourhood Forum which covers the same area, and 3 residents associations each covering smaller bits of the area. 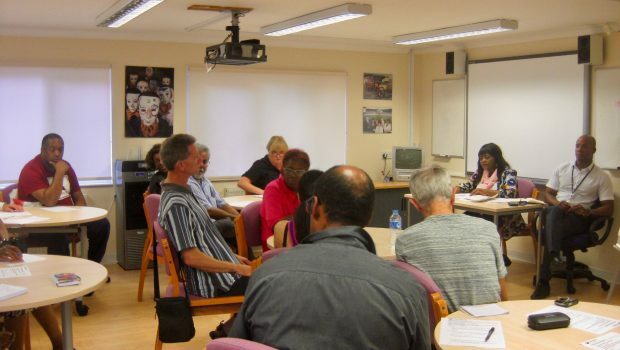 The next ward meeting in October will need to decide on the preferred format. The Council’s constitution says there should be between 2 and 6 ‘ward meetings’ per year. 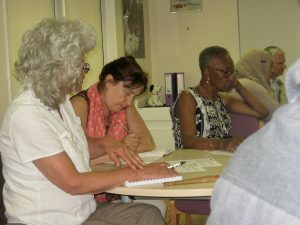 Communication: a sizeable proportion of local residents don’t use computers or social media, and the meeting stressed the importance of finding ways to communicate with them in order to inform them and get them involved. Neil De-Costa and Lesley Bannister couldn’t offer anything more than the use of e-mail to those addresses they already knew (compared to the local leafletting which used to take place). So here immediately is an issue being bounced back from the Council to local residents: we will have to decide whether there is the capacity and imagination to come up with a better method, and what other resources could be drawn in to achieve that. Petitions: there was specific clarification about petitions. 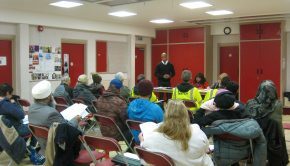 Any group of people of whatever size can present a petition to the Council via the ward meeting – either by e-mailing it to Lesley Bannister (Lesley.Bannister@birmingham.gov.uk), or bringing it to the meeting. If you want to discuss this further contact Lesley. 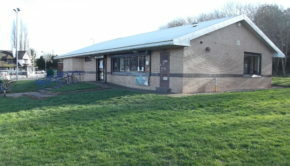 Ward Plans and Priority Issues: there is an expectation from the Council that the October ward meeting will draw up a Ward Plan which specifies the priority issues the residents want addressed. Many people had a sense of ‘deja vu’ at this point, as they have contributed to several such plans and don’t consider the issues have been addressed. Each resident group area spent a few minutes coming up with a list, and each came up with the same familiar issues: fly tipping and rubbish, excessive numbers of poorly managed HMO’s (houses in multiple occupation), anti-social behaviour, irresponsible parking and driving. Prostitution is increasing. In discussion after the meeting there was also a desire to collaborate with neighbouring wards on issues such as jobs and skills, and delivery of services to children and families, people with disabilities and mental health difficulties, and older people. 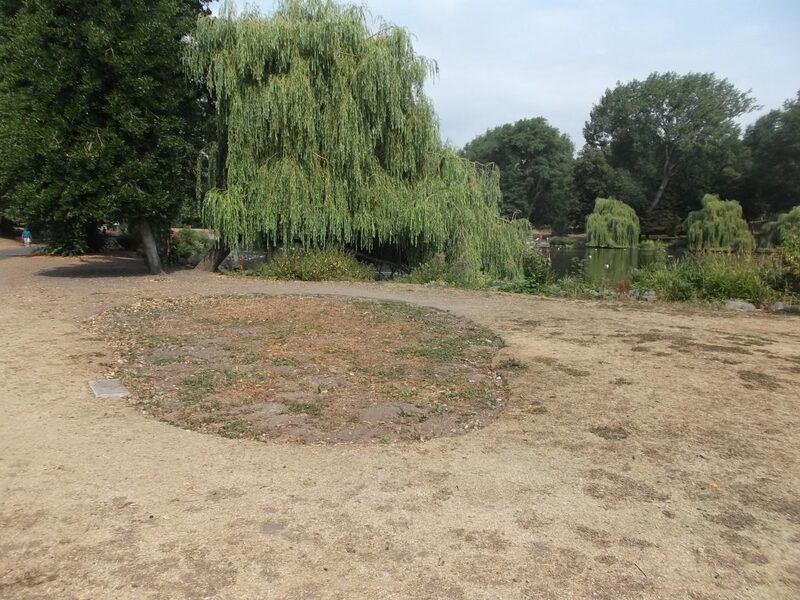 Particular mentions were made of how Handsworth Park is deteriorating since the Heritage funding ended in 2016, and of how it fails to secure the same proportion of ongoing Council funds as parks like Cannon Hill. Also, of the long-running vexed question of who is/should be responsible for the condition of Crick Lane. In acknowledging the ‘complexity’ of these issues Neil De-Costa seemed to accept that they were not purely about residents forming effective partnerships. Date of next meeting: 30th October – time and venue to be confirmed.